MSAN is now accepting applications for membership. MSAN is actively looking to add districts outside the Midwest and East Coast. MSAN member districts are part of a community working toward solutions to common issues around race and student achievement. Additionally, districts have the opportunity to participate in research projects and access study-related interventions and resources. Click here for more information on the Benefits of MSAN membership. Location - MSAN districts are most often well established first ring suburbs or small/mid-size cities. Size of District - Districts are large enough to have staff capacity to support MSAN efforts yet small enough to be manageable and similar to other MSAN districts. MSAN districts range in size from 3,000 to 32,000. Free/Reduced Lunch Rate - Free and/or reduced lunch rate is an approximate indicator of the wealth of a community. Between 12 and 56% of students across MSAN districts receive free and/or reduced lunches.Student Demographics - Most MSAN districts have a combined minority student population between 29% and 83%% and have served populations of African American and Latino students for generations. Academic Achievement - MSAN districts are considered having overall high student achievement as measured by state and national tests. School Funding - Many MSAN districts have higher than state average per pupil spending. Research - MSAN districts have typically had significant relationships with major research universities or other research institutions. Other - MSAN districts have had a history of addressing achievement/opportunity gaps and disaggregating data by different demographic indicators. The Governing Board considers several factors as new districts are selected. None of these are stated as absolutes but are considered guiding factors in review and selection. Districts should have student populations between approximately 3,000 and 33,000 to reflect current Network district enrollments. The size of the district should be large enough to have staff capacity to support MSAN efforts yet small enough to be manageable and similar to other MSAN districts. Districts must have racially diverse student populations with a significant percentage of African American and/or Latino students. (During the 2011-12 school year, Network districts have had total minority student populations between 29%-83%..) It is expected that Network districts will have a commitment to integrated education. Districts must commit to participate in selected research activities, compilation of information on promising programs, and other activities to be determined by the Governing Board. Districts must be willing to make disaggregated achievement data public. Districts must demonstrate the capacity to fulfill Network member Expectations and Obligations. In the selection process, consideration will be given to building greater regional distribution of Network districts. 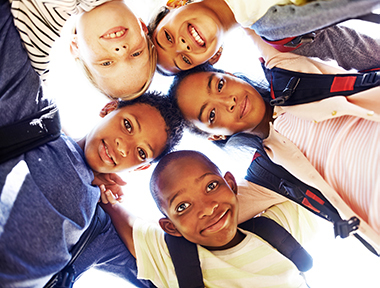 how membership in the Minority Student Achievement Network will assist their district's efforts to raise student achievement for students of color. Typically, the superintendent of a school district initiates the MSAN membership application process. Applications are accepted throughout the year; however, membership is limited to 30 school districts at any given time. Once an application is received by the Executive Director, the application goes to the Executive Committee for preliminary review. The Executive Committee recommends new members to the Governing Board in June. The Governing Board makes final membership decisions. An annual membership fee $13,500 per district is due each August. Prompt payment is appreciated. Membership fees are used for MSAN expenses including research and development projects, MSAN leadership Institute registration for 6 educators, MSAN Student Conference registration for 8 students and 2 chaperones, MSAN Mini-Conference registration fee reductions, access to information from prior institutes and mini-conferences, access to an on-line database of MSAN's Promising Practices, and 3 annual business meetings for the Governing Board and Research Practitioner Council (excluding travel and accommodations). MSAN is able to collaborate with member districts to seek federal and/or foundation grants to support specialized projects related to the achievement gap. Since it was organized, MSAN has generated more than 2.5 million dollars in foundation, grant, and local district funds to explore issues influencing the achievement gap. Active participation by Governing Board and RPC members in Network activities is an expectation of membership. If representatives from a district are not able to participate in primary Network activities for more than 24 months (including Governing Board meetings, RPC meetings, Mini-Conferences, the MSAN Institute, or the Student Conference), the district will be considered inactive and reconsideration of membership will be initiated. The success of a network such as ours is the active participation of all members.